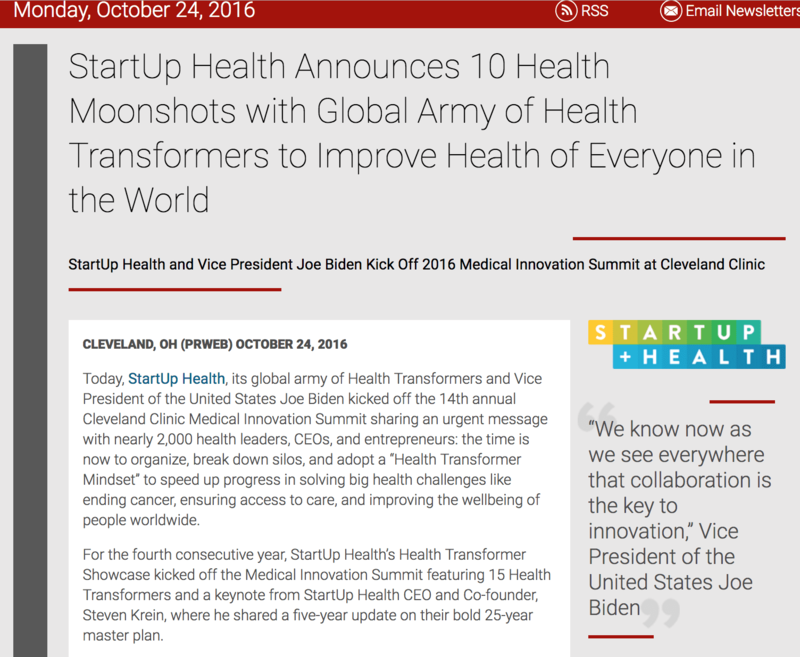 We would like to thank the team behind the article: “StartUp Health Announces 10 Health Moonshots with Global Army of Health Transformers to Improve Health of Everyone in the World” for mentioning our CEO, Jean Anne Booth. Click here to read the full article. Today, StartUp Health, its global army of Health Transformers and Vice President of the United States Joe Biden kicked off the 14th annual Cleveland Clinic Medical Innovation Summit sharing an urgent message with nearly 2,000 health leaders, CEOs, and entrepreneurs: the time is now to organize, break down silos, and adopt a “Health Transformer Mindset” to speed up progress in solving big health challenges like ending cancer, ensuring access to care, and improving the wellbeing of people worldwide.